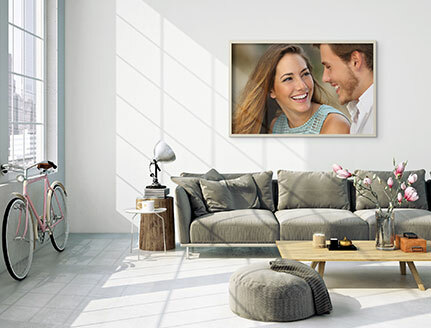 Standard, commercially available image posters are often laid out in portrait mode. 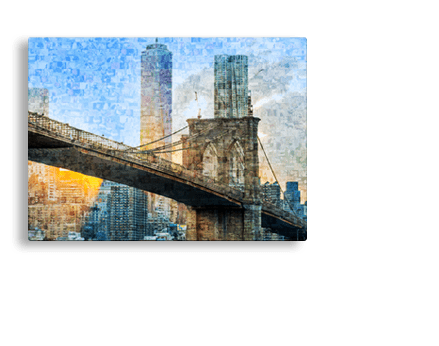 However, wall pictures are commonly in landscape format. We can turn into photos into posters that fit your motif. 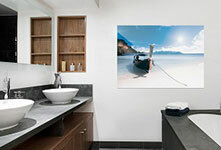 As well as landscape format, it is also possible to order a poster in square format or even as a panoramic. Thus, you can personalise your own four walls completely individually. 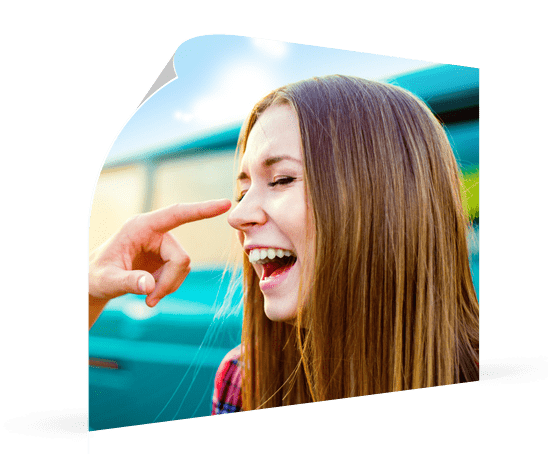 The choice of image for posters in online stores and creative shops is also often limited or doesn’t exactly fit with your ideas. 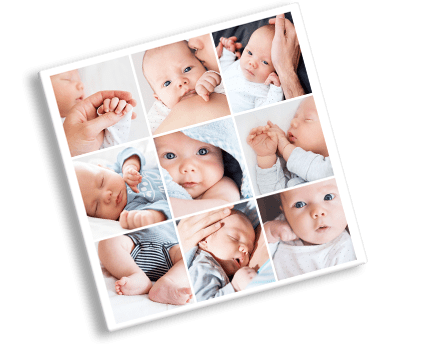 With a motif of your own choosing, you’ll have your own personal, unique photo as a poster – something no one else will have. 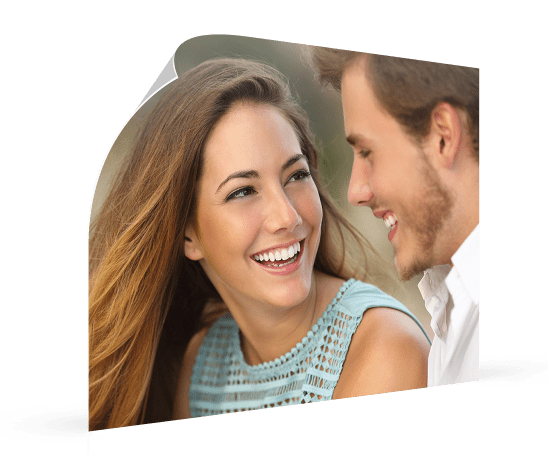 Before printing your photo poster, the surface structure should be selected. For poster printing, we offer the options of a matt or glossy finish. Which version to choose is above all a matter of preference. 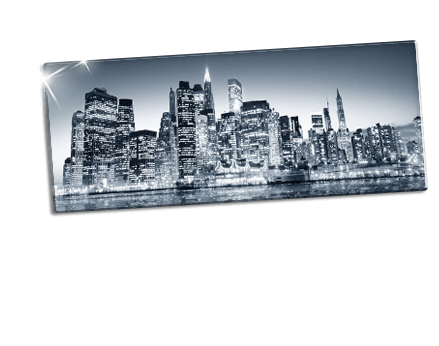 Gloss or matte – each surface has its advantages and disadvantages. 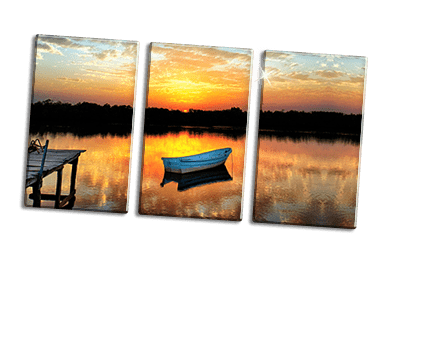 The glossy option is usually selected for holiday photos and colour-rich photos because it reflects bright colours especially faithfully and vividly. Matte posters, on the other hand, are especially popular for monochrome photography or for wedding photographs. We use Fuji® premium poster paper for both types of poster. This way, your photo poster will retain its vivid colours for many decades to come. 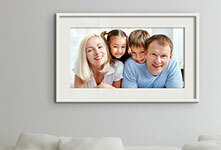 We deliver your photo poster quickly and directly to you at home. After printing, your poster will be rolled carefully in tissue paper and will be sent out to you in a transport tube. Thus, your photo poster will arrive with you a few days later safely and undamaged. Apply double-sided sticky tape to the back of the photo poster at the edges and in the middle. Then carefully stick to the wall from the top to the bottom. Power Strips are the expensive version of double-sided tape. They (are said to) hold longer and more weight Apply in the same way as the double-sided tape. To take the poster down from the wall again, just pull on the ends of the strips. Mount the photo poster using thumbtacks. Position the poster on the wall and pin to the wall using a thumbtack in each corner. Use pins to attach the poster to the wall. Again, the photo poster can be fixed to the wall using a pin in each corner. This method will only work on wallpapered walls. Hang the poster in a frame. This is the most elegant but also the most expensive solution. The selected frame can easily be attached to the wall using two nails.